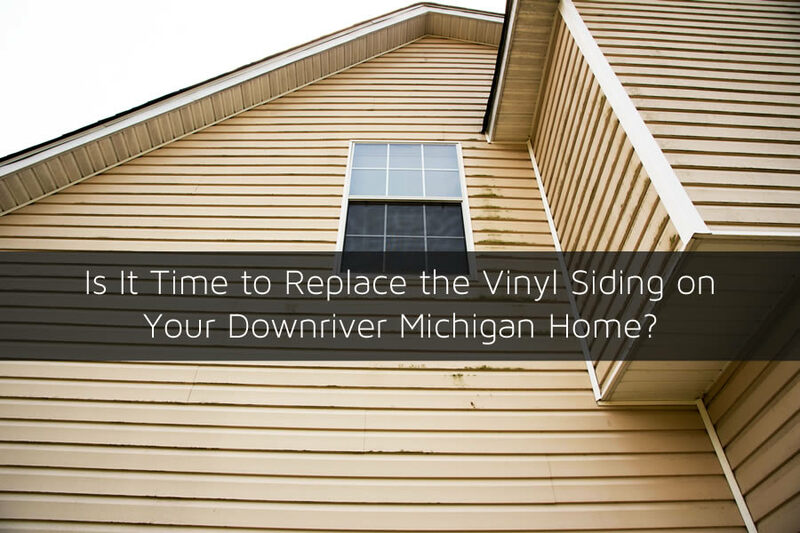 Is It Time to Replace the Vinyl Siding on Your Downriver Michigan Home? Does the vinyl siding on your home in Downriver Michigan look a little drab and not quite as spectacular as it was when it was new. Over time vinyl siding can start to lose some of it’s sheen and start to show signs of needing replacement. Typically, most vinyl siding installations can last for 15 years or more but this number can very tremendously depending on the quality of vinyl siding that was installed. Coupled with the winters we have here in Downriver Michigan and it may be time to replace your home’s vinyl siding sooner than you think. 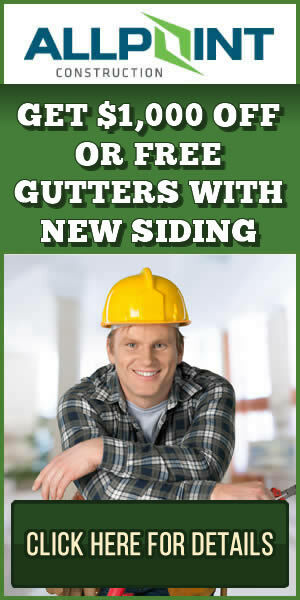 There are some signs that you’ll likely notice before you need to get the vinyl siding replaced however. I’ll go over some things you’ll want to look for on your home’s vinyl siding to help determine if it needs to be replaced. Protecting your home from the weather and making it look great is the purpose of siding on a home. From the torrential downpour of rain and snow to the scorching heat of summer the siding on your home should look great and protect the home. When this stops happening either because the siding is not protecting the home or that it just doesn’t look that great it may be time to replace the siding. Sometimes vinyl siding will only need to be cleaned in order to bring back it’s original look or at least pretty close to it. In either case, you’ll want to consider these tips that can help you get the most from your vinyl siding installation on your Downriver Michigan home. Accidents happen and when it does it can be a problem for vinyl siding. Getting a barbecue grill too close to the siding can melt it away from the home causing damage. You may also have limbs fall from trees during storms that can contact and crack the siding in a lot of areas. In either case getting the siding replaced can actually be a problem especially if the siding was a color other than white or beige. For lower quality siding the UV rays can fade it rapidly. So even if the siding was relatively new the sun has likely already faded it making repairs to the siding look tacky and out of place. There may be siding that simply doesn’t match the colors of the other siding. This mismatch will stick out like a sore thumb and you may even need to resort to installing siding on the entire home again. One of the problems with vinyl siding here in Michigan is that when it gets cold the vinyl siding can become more brittle. When it’s in a brittle state like this it can crack easily. A child throwing a ball against the siding can break it or even a weather even can crack it such as freezing rain or hail. The problem that occurs when this happens is much like any other damage. It may be difficult to repair the vinyl siding simply because of the mismatch in color. If your home has a higher quality vinyl siding installed you may not have this problem but it’s certainly worth mentioning and you may end up needed to replace the entire wall of siding or the whole home entirely. Most of the problems that are associated with vinyl siding can be quickly remedied if you have fiber cement siding installed such as James Hardie siding. Fiber cement siding is really tough and holds up very well in the weather here in Michigan. Plus, if you ever need to make repairs in the siding you can without worrying about color mismatch because fiber cement siding can be painted if need be. PreviousWhat is the Best Choice of Siding in Flat Rock Michigan?